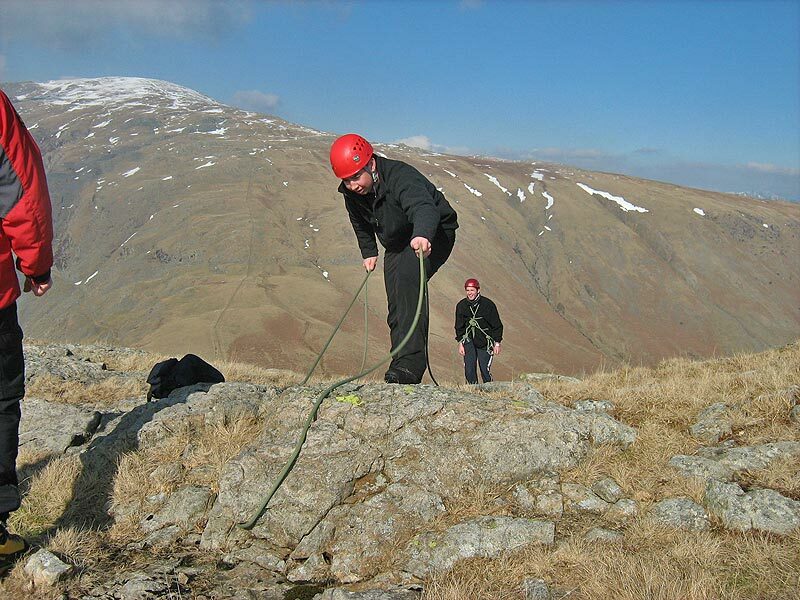 Lakeland's scrambles are graded, allowing those new to scrambling to choose a level of challenge that suits them. 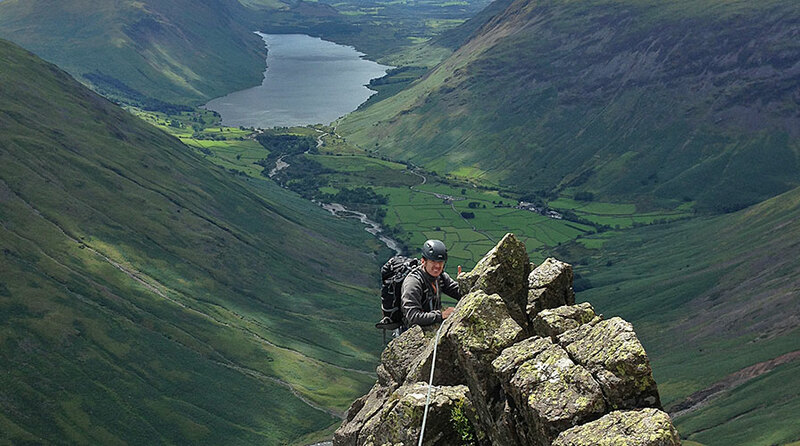 When scrambling Lake District fells, the routes can range from a few short obstacles to overcoming long exposed ridges that are almost alpine on a cold clear day. 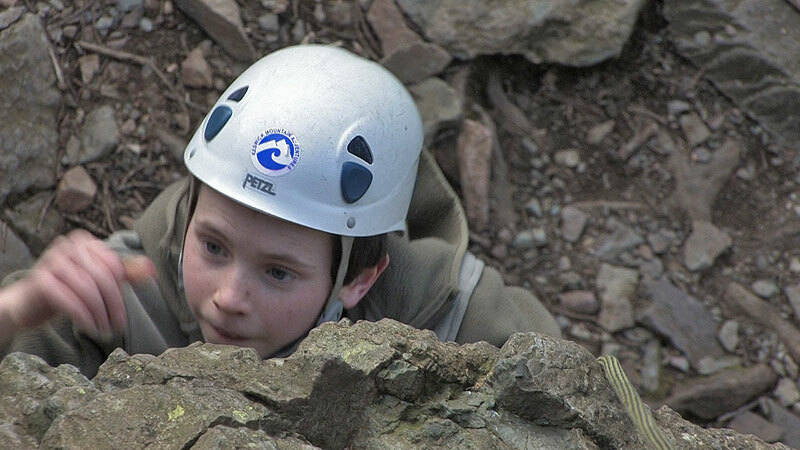 All activities and courses are tailored to suit groups' individual requirements and abilities. Mountain scrambling is a blend of mountain walking and climbing, where the horizontal meets the vertical and is very rewarding. The ascent of easy rocks, where hands may have to be used to make progress, leads the scrambler into spectacular mountain terrain and away from the beaten track. 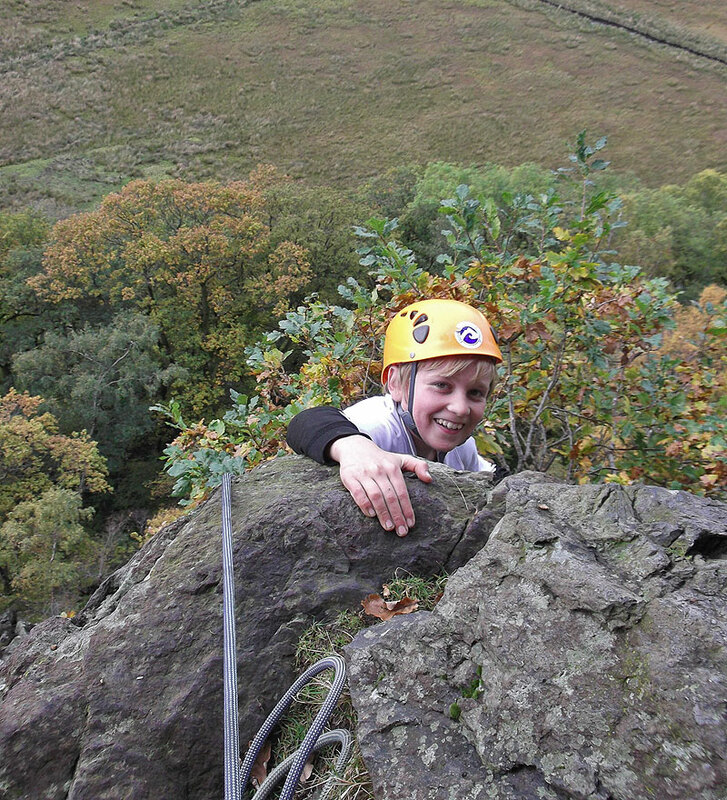 Routes can range from a few short obstacles that are often optional such as on the NE ridge of Bannerdale Crags in the northern fells. 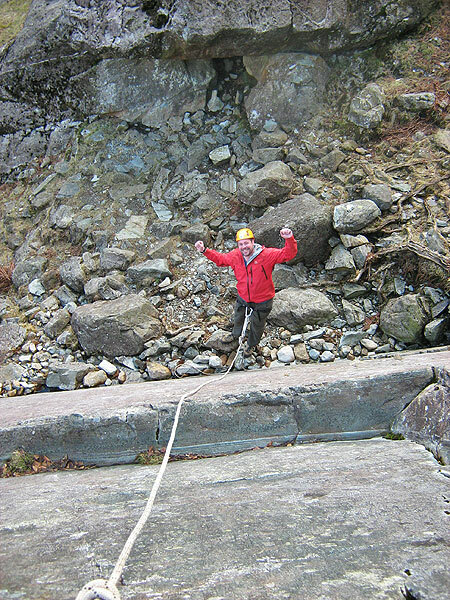 Some of the best quality scrambles force you to overcome long exposed ridges like the classic Striding Edge or tackle steep buttresses like the SE Face of Ill Crag which borders on genuine rock climbing! 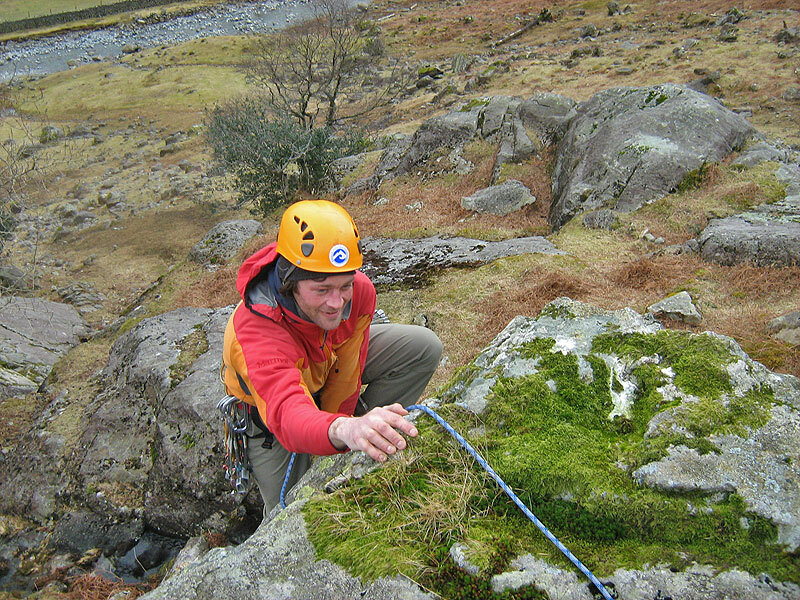 At its upper end, scrambling may require rope work to safeguard yourself and your companions. The well travelled scrambles are graded and have resulted in several popular guidebooks that allows the scrambler to confidently choose a level of challenge that suits them. Our instructors know these routes well and will be able to take you to a venue that suits both your experience and the day’s weather conditions. 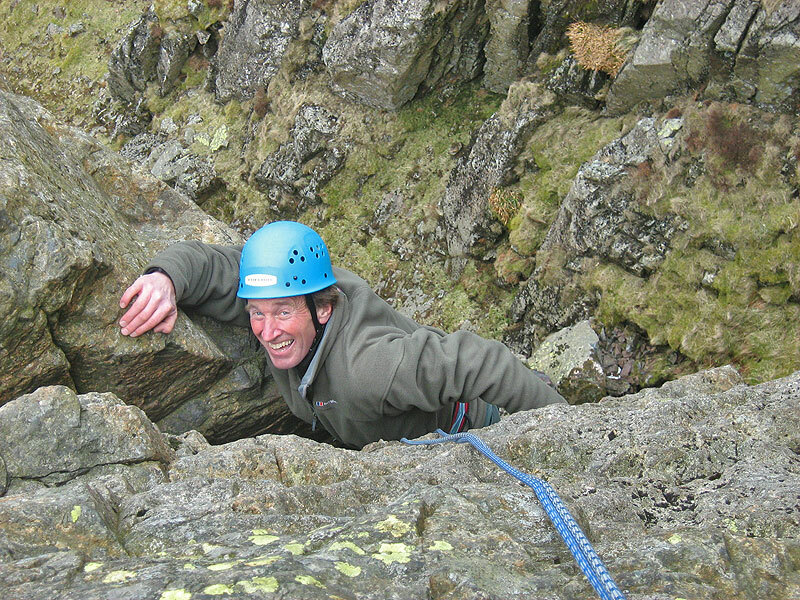 At Keswick Mountain Adventures we know there are some fantastic adventurous possibilities for Lake District mountaineering, with it’s wealth of great atmospheric scrambling, which makes for varied and interesting mountain days.